The home was clean and perfectly located close to the harbor and walkable to all points about town. There was even a coffee kiosk steps away!. The location was pretty much perfect and the house was great. A grill would have been nice as well as one or more fire pits on the property for s'mores and meeting others, etc. OMGosh! What an awesome place to stay! Everything was perfect & OH! What a view!! We greatly enjoyed the rental property. Two things, wish it was closer to the ski hill and that it had a king bed. We really enjoyed our stay! The location was perfect, the townhouse was very comfortable and spacious. We did find, however, that the kitchen was woefully lacking in cooking utensils and cups, etc. For instance, there was no spatula with which to flip eggs in the morning! And only one very beat-up frying pan. We chose to rent a townhouse rather than stay in a hotel so that we could cook some of our meals, and were disappointed by how limited we were by the kitchen's lack of utensils and cooking accoutrements. The condo was meticulously clean and pleasantly warm. 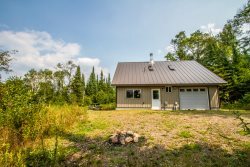 Great layout and beautiful location with Lake Superior view from the master bedroom. We loved the fireplace and the spacious living room. We were vary happy to spend a week there. We drove every day to Lutsen to ski but enjoyed the trips and Grand Marais' choice of restaurants and shops. Kids loved the Trade Post. The combination lock instead of traditional keys was a great idea. We loved & have recommend it to others already. We are looking forward to staying there again!